Hello! I have some template news and a concept to share today, let's start off with the template. It took me a few weeks to get around to it, but I've now updated my Combo template for the new Adidas Adizero jerseys. Below is a standard blank version, and on the Templates page you'll find a few more variations for different yoke shapes and stuff like that. I also plan on adding team specific versions at some point, but that will come at a later date. By the way, the Reebok Edge version of this template can now be found on this page here. 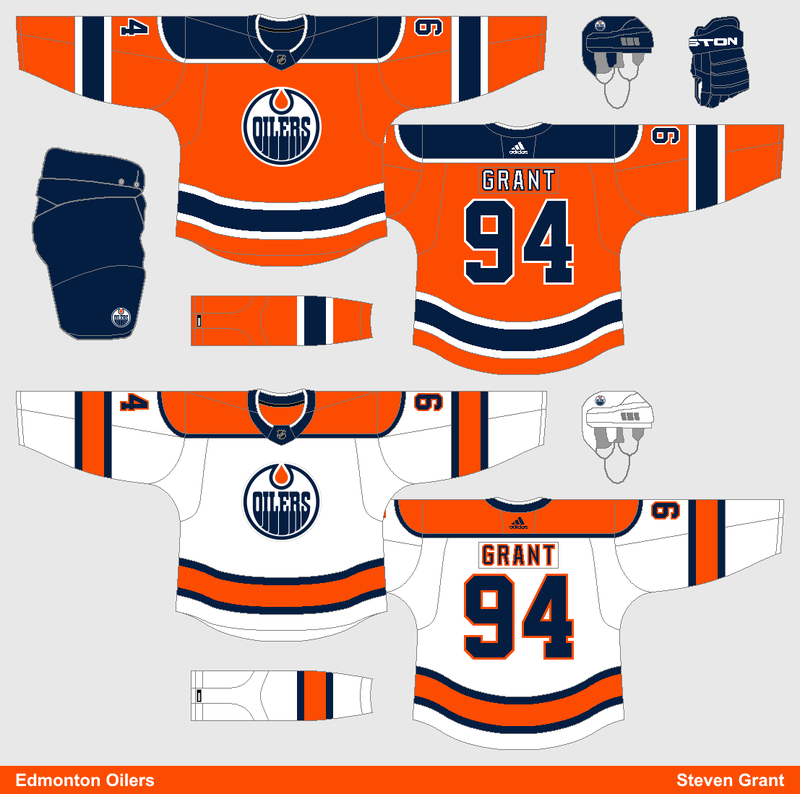 I created this concept to test out the new Adizero template, it's basically what I was hoping the Oilers new jerseys would look like.